Now, you can ask Alexa to control your fan or air cooler! What is Chikki pointing towards? Let us know your thoughts. #NoFlickerNoFikar, Coming Soon! Orient Electric has been awarded the prestigious ‘Business Superbrand’..
Orient Electric has been awarded the status of being one of the "Asia's Greatest Brands 2016"
Orient Electric's Lighting division bagged the "National Energy and Conservation Awards 2016"
Orient Electric Limited (OEL) is part of the diversified Indian conglomerate CK Birla Group. A distinguished name in the Indian fan industry for more than 60 years, Orient Electric has today established itself in the market as a one-stop brand for lifestyle electrical solutions which include Fans, Lighting, Home Appliances and Switchgears. Orient Electric takes pride in its R&D capabilities, spirit of continuous innovation and commitment to manufacture cutting-edge lifestyle electrical products that meet the needs and expectations of new age consumers. It has fully integrated manufacturing facilities based in Kolkata, Faridabad, Noida and Guwahati. It is largest manufacturer and exporter of fans from India with a dominating presence in over 35 international markets. It is also the second largest manufacturer of LED bulbs in India and the first Indian lighting brand to have been awarded BEE star rating for LED bulbs. In the domestic market, it has a well-organised distribution network driven by over 4000 dealers, 1,00,000 retail outlets and a strong service network covering 320 cities. Orient Electric Limited,formerly a division of Orient Paper and Industries Limited (OPIL), was incorporated as Orient Paper Mills Ltd. in 1939. The CK Birla Group started Orient Paper with just one paper machine at Brajrajnagar in Orissa, India. Orient Fans, the erstwhile Calcutta Electrical Manufacturing Company, became a part of the CK Birla Group in 1954 and was subsequently rechristened Orient Electric in 2014. Orient Electric developed and patented the revolutionary PSPO (Peak Speed Performance Output) technology in early 90's which changed the industry outlook altogether. In order to improve production, meet the ever-changing needs of the customers, and establish itself as a global market leader, Orient Electric also equipped its manufacturing plants at Faridabad in Haryana and Kolkata in the state of West Bengal with state of the art machinery and technology. Leveraging its strong brand identity developed over the years, Orient Electric forayed into a new range of electrical products. It started trading of CFLs (compact fluorescent) and FTLs (fluorescent tube) in the year 2007. In 2008, the company set up an advanced manufacturing unit at Faridabad in the state of Haryana dedicated to manufacturing of CFLs and FTLs.It later ventured into LED lighting solutions in 2014 and as of today, it is one of the leading lighting companies in India with a diverse LED-centric portfolio. Orient Electric ventured into the home appliances market in 2011 with a wide range of products including Air Coolers, Water Heaters, Juicer Mixer Grinders, Mixer Grinders, Toasters, Electric Kettles, Coolers, Induction Cookers, Rice Cookers and Electric Irons. Orient Electric's Home Appliances division today enjoys a pan India presence with a strong distribution network. 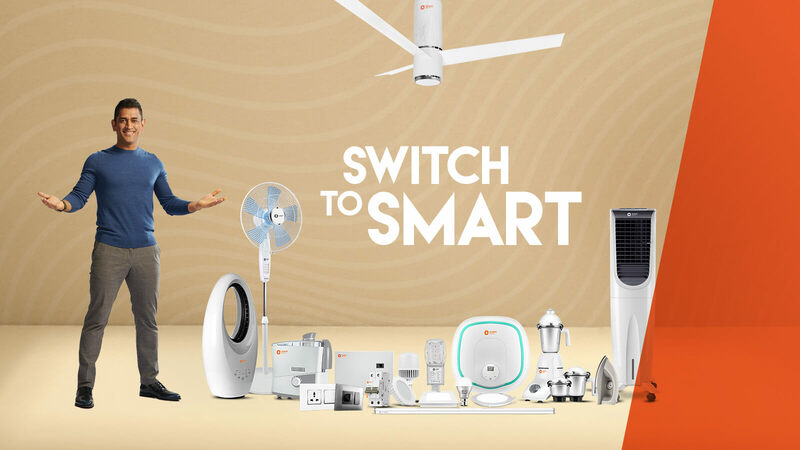 The company changed its brand name and identity from 'Orient Electricals' to 'Orient Electric' and consolidated its business verticals of Fans, Lighting and Home Appliances. The brand revamp was done with an aim to establish the company's identity as a one-stop home solutions provider with the next generation customers who make informed buying decisions. As part of the brand repositioning plan, the company also launched a new unified communications campaign 'Switch to smart' and its new logo in the vibrant colour 'orange'. The year also marked the launch of BLDC fans and Orient Electric's entry into LED lighting solutions. 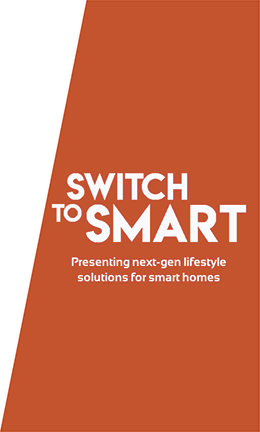 Continuing with its efforts to position itself as one-stop solution provider of lifestyle electrical solutions, Orient Electric forayed into the Switchgear market. Orient Electric’s smart range of energy-efficient LV Switchgear products includes MCB (Miniature Circuit Breakers), RCCB (Residual Current Circuit Breakers), Isolators and Distribution Boards. The company manufactures the Switchgear range at its state of the art manufacturing facility located at Noida in the state of Uttar Pradesh. Orient Electric became the first Indian lighting brand in 2016 to have been awarded 3-Star rating by BEE for its LED lamps which serves as a testimony to the company’s voluntary commitment to developing innovative, aesthetically pleasing and technologically advanced lighting products. As part of its ongoing efforts in creating more engagement points to improve consumer experience, Orient Electric opened its first exclusive Smart Shop in Karnal, Haryana which offers consumers an opportunity to see, touch and buy Orient’s entire range of products under one roof. Orient Electric gets demerged from Orient Paper & Industries Limited (OPIL) into a separate listed entity, Orient Electric Limited (OEL). The Scheme of demerger was approved by the Kolkata Bench of the National Company Law Tribunal on November 9, 2017.